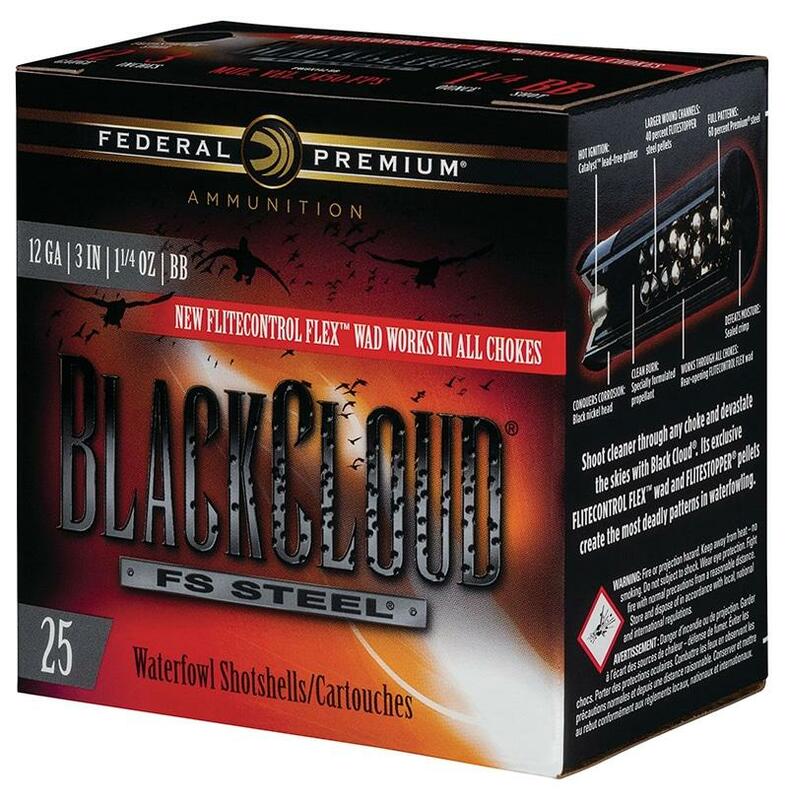 Federal Premium has added new shot size offerings to its improved Black Cloud shotshell line. This includes various new loadings of shot size No. 1 and No. 3 in both 12- and 20-gauge. Equipped with the new FLITECONTROL FLEX wad, the new loads deliver improved pattern density and consistency through both ported and standard waterfowl chokes. The wad’s redesigned rear-deploying petals and side-mounted vents stimulate the payload for separation from the wad at the ideal moment for dense, deadly patterns. Plus, the efficient Catalyst lead-free primer and clean-burning, temperature-stable propellant significantly decrease residue in the barrel.